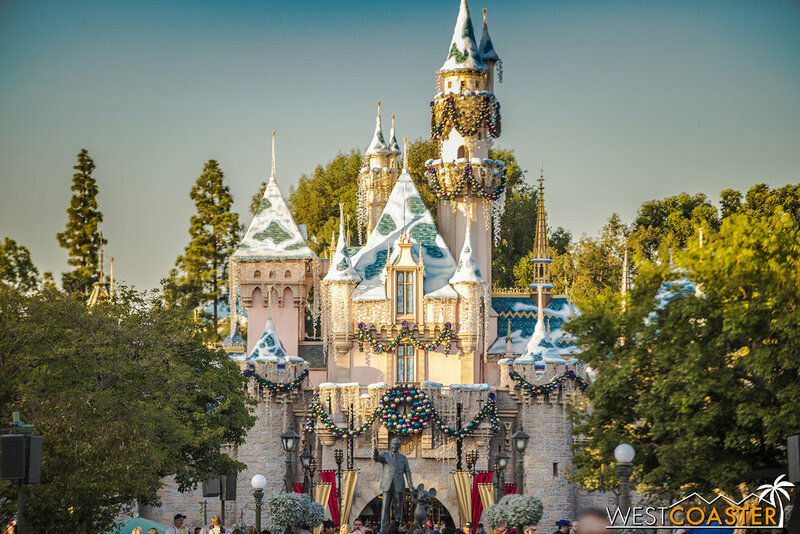 After checking out this year's holiday offerings at Disney California Adventure last week, we swing back across the Esplanade to Disneyland Park to take a photo journey through their Christmas festivities. We did a spread like this last year, and honestly, not too much has changed. If anything, things have gone away--including Paint the Night and the Jingle Cruise. 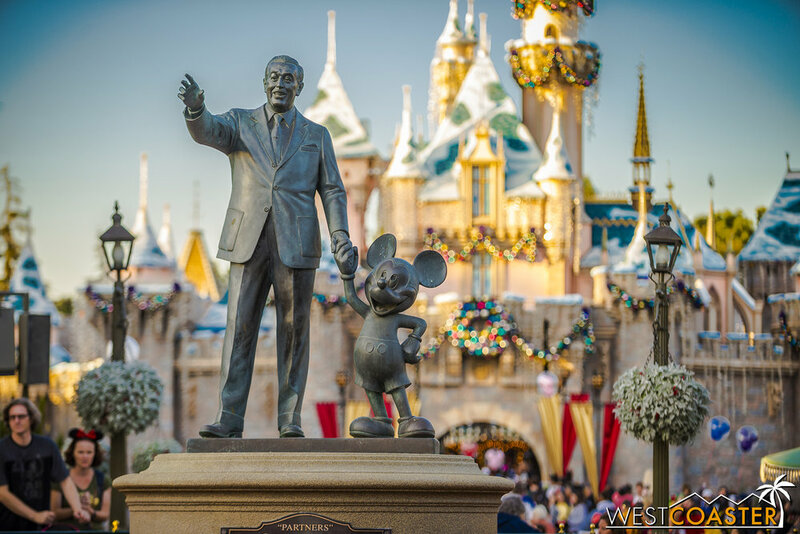 California Adventure has received most of the new attention in recent years when it comes to seasonal events--with good reason, since Disneyland Park has been under a lot of construction the past couple of years. 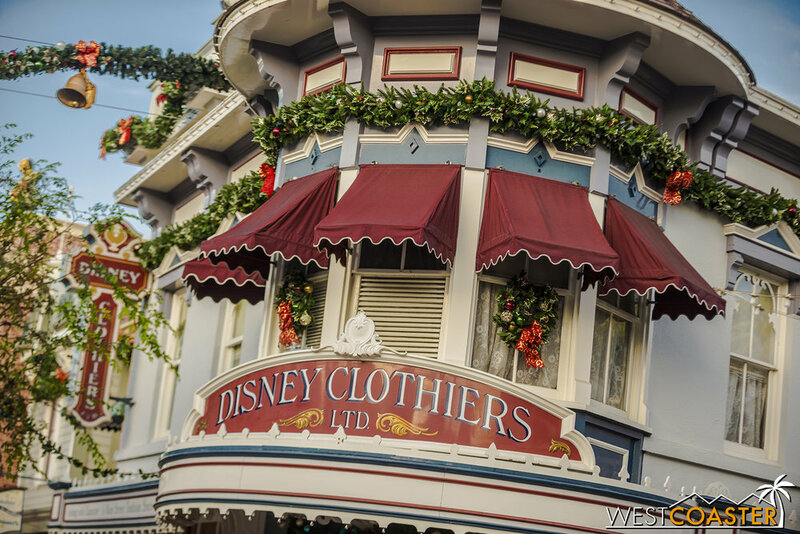 Hopefully, once things die down after Star Wars: Galaxy's Edge opens, there can be some reinvestment in new looks for the holidays at the Magic Kingdom. In the mean time, enjoy the pretty pictures. 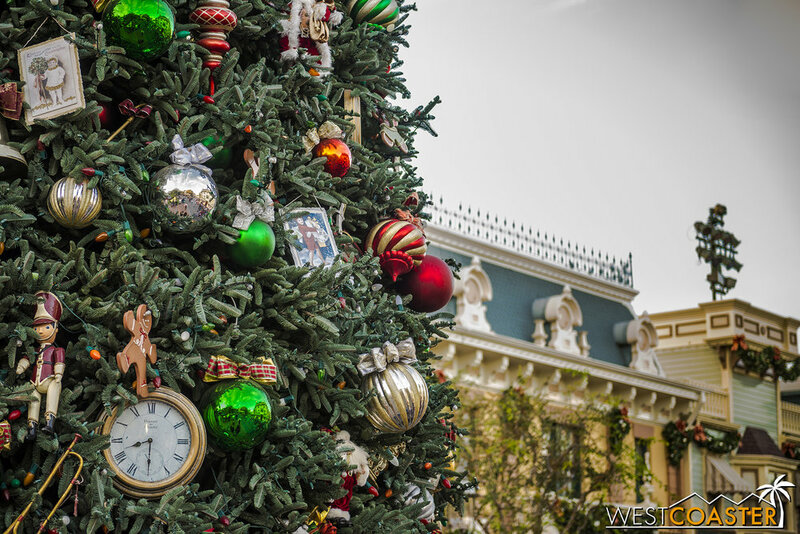 Christmas is strongest at Disneyland's entry land, where nostalgic holiday Americana resonates deeply all along the street. 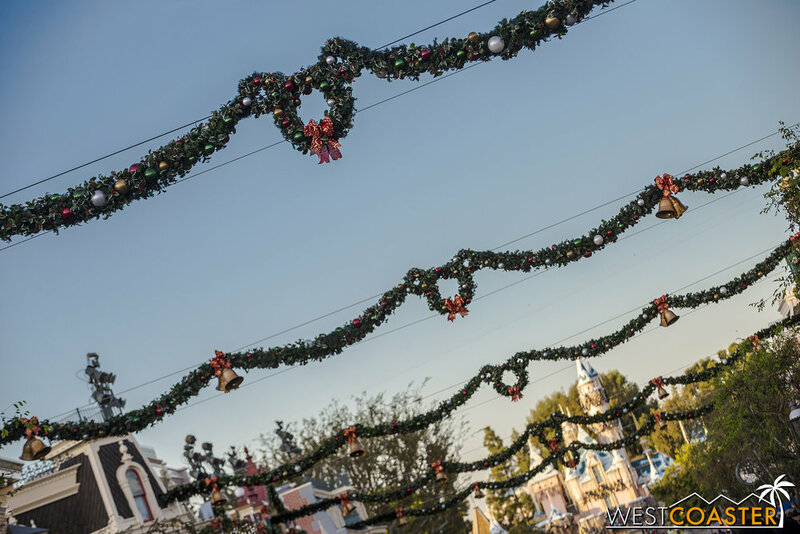 This year, for the first time in three, the overhead garlands are back, no longer relegated to storage to accommodate the tallest Paint the Night floats. This does mean that Paint the Night is not at Disneyland this year (it moves to California Adventure next year), but the Christmas Fantasy Parade is still around, going twice a day to spread its winter cheer. 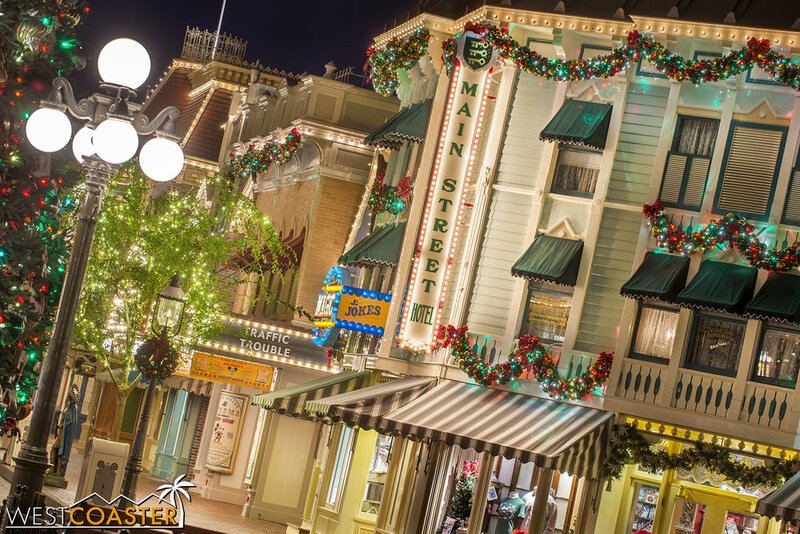 And of course, at night, Main Street and its giant Christmas tree and twinkling ornaments really comes to live, capturing the spirit of the season. The holidays seem to have tapered back this year. 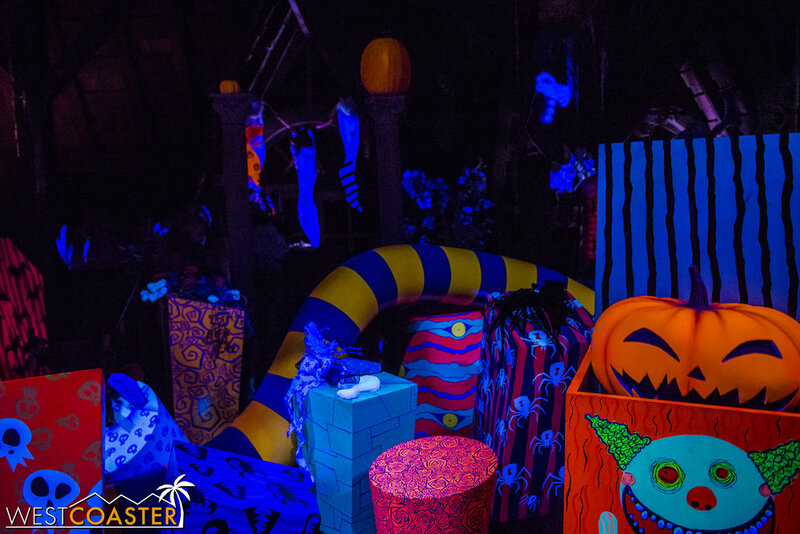 Although Adventureland does have some decorations atop the Structure Formerly Known as Tropical Imports, the popular and incredibly corny Jingle Cruise did not return this year. The official response was to limit its downtime and offer guest maximum attractions, but some rumblings have suggested this was another casualty of the budget cuts of the current parks regime. 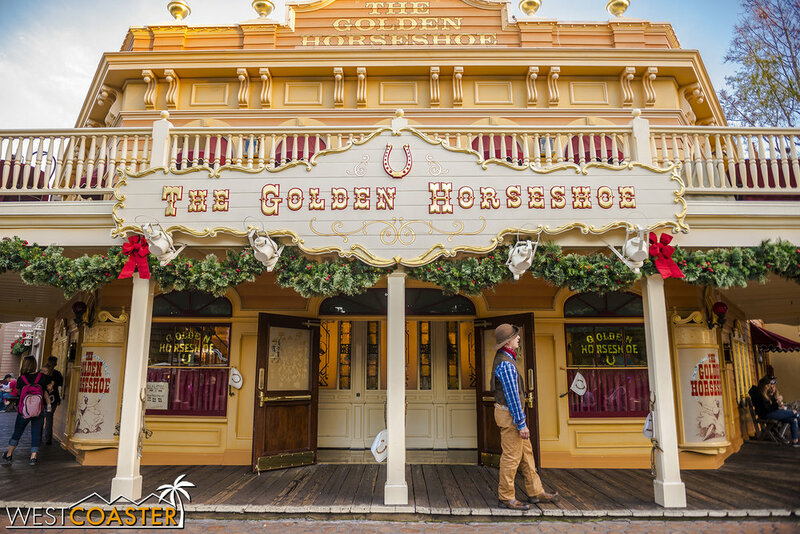 Nothing new this year in Frontierland. Just the usual rustic Christmas look. And views of "Star Wars" Land cranes. The area has never really had much in the way of active holiday attractions anyway. 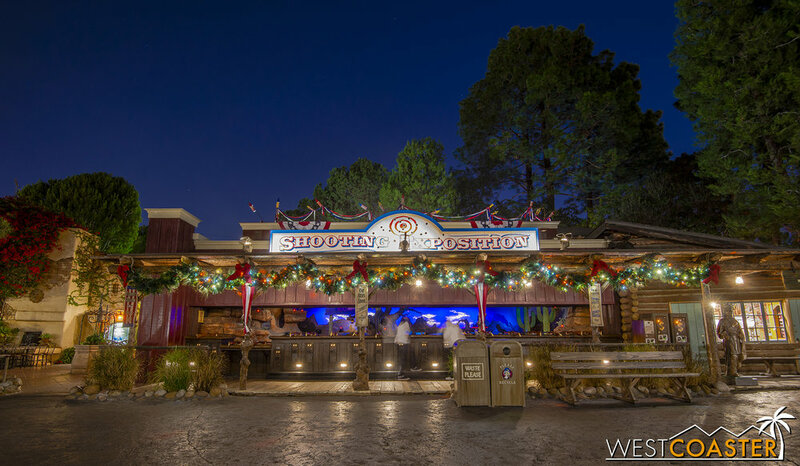 The same goes for Critter Country, which has some cute wreath- and ribbon-plenty decorations and colorful Christmas lights for ambiance but not much more. 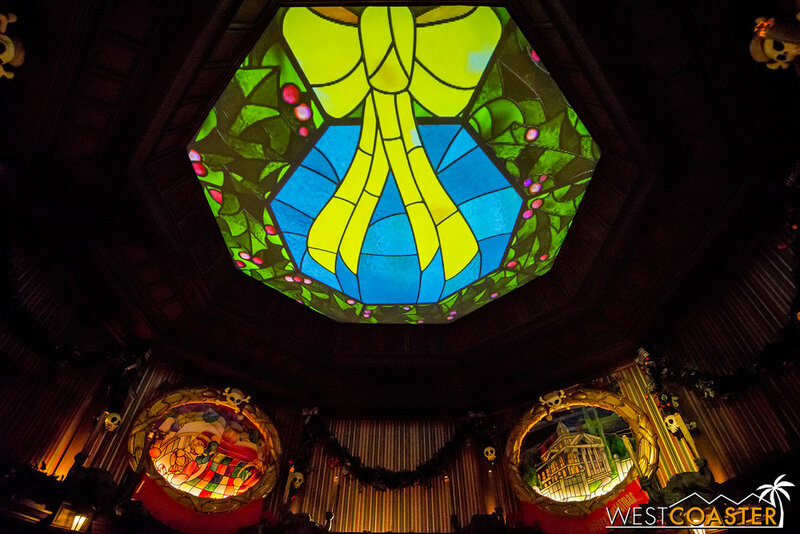 If the Country Bear Jamboree was still around, they could at least make like Tokyo Disney and offer the Jingle Bell Jamboree. 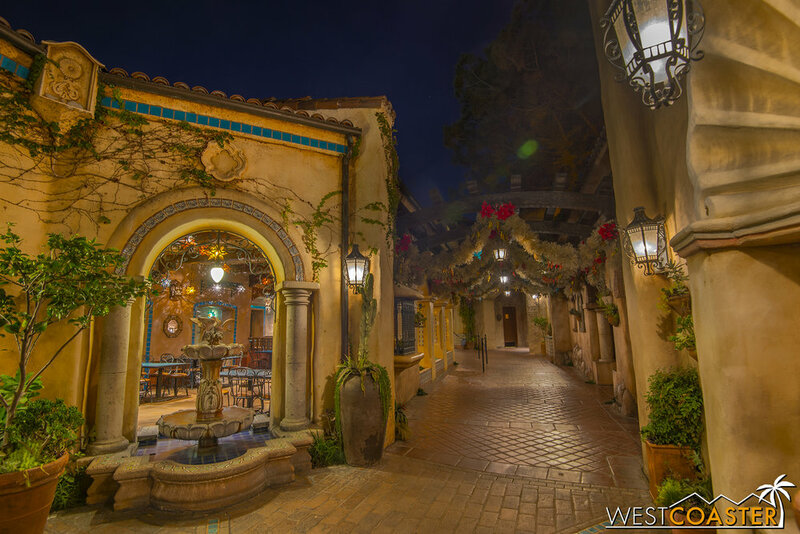 New Orleans Square, like Main Street, has traditionally offered one of the more atmospheric and magical holiday environments in the park. 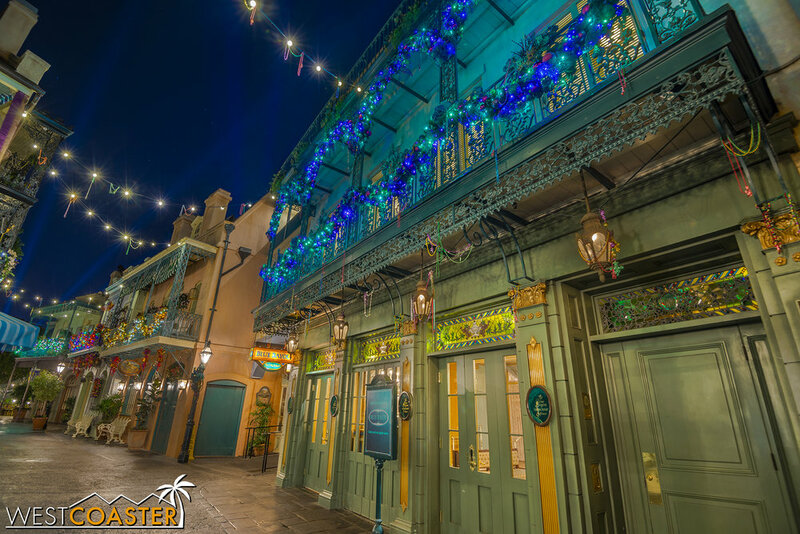 From the glowing Royal Street lights to the festive Crescent City ornaments, everything looks wonderfully lavish and beautiful! And the jewel of the land is the Haunted Mansion Holiday, the seasonal attraction that runs through both Halloween and Christmas. 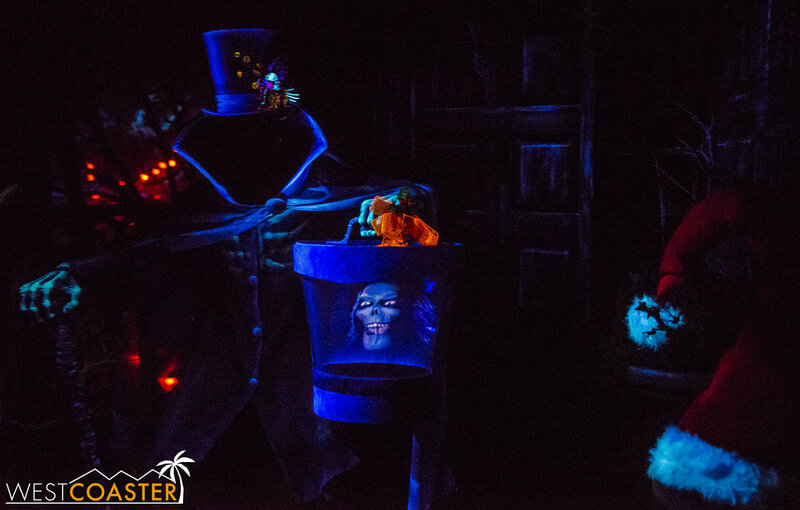 Last year, a Sally animatronic was introduced to the graveyard scene. This year, there were no other significant changes, except for the annual ballroom scene gingerbread house, which is different every year. 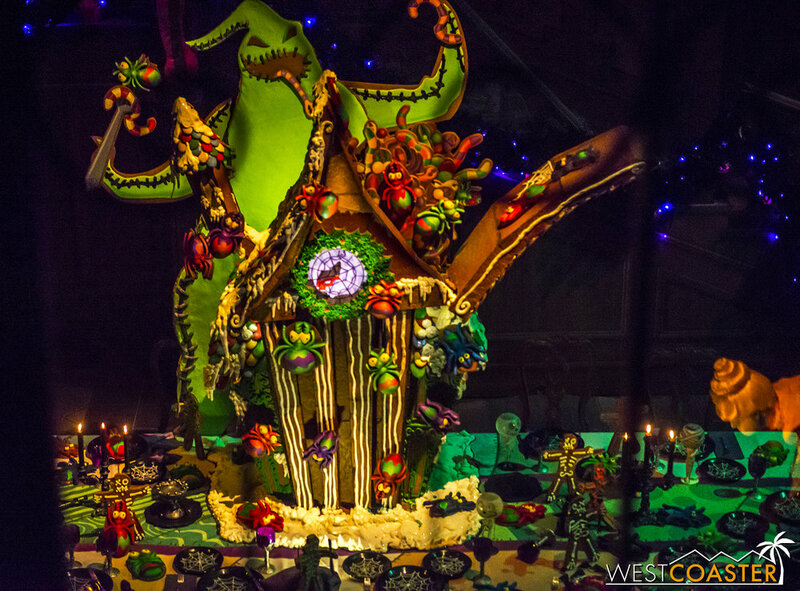 Since he took over California Adventure's Buena Vista Street during Halloween, it was only fitting that Oogie Boogie grace the gingerbread house in this year's Haunted Mansion Holiday too. 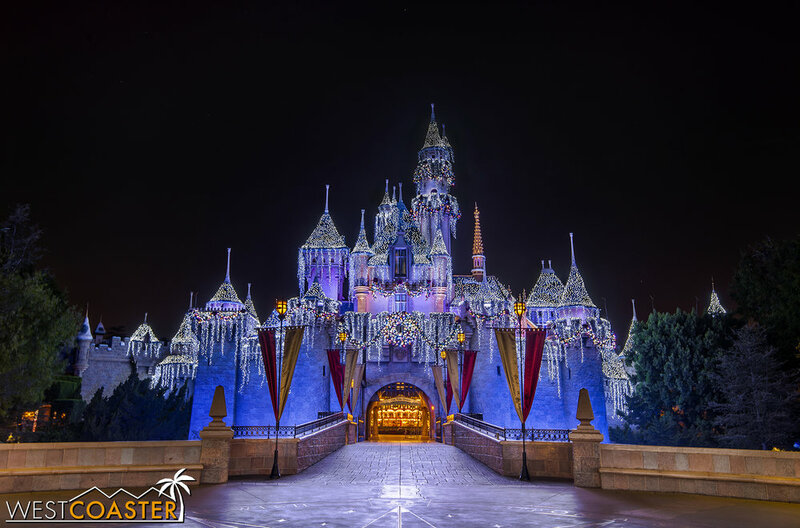 Finally, Fantasyland features Sleeping Beauty's Winter Castle--now back to pre-60th anniversary mode--and It's a Small World Holiday. The Castle is, of course, the backdrop to the Believe! 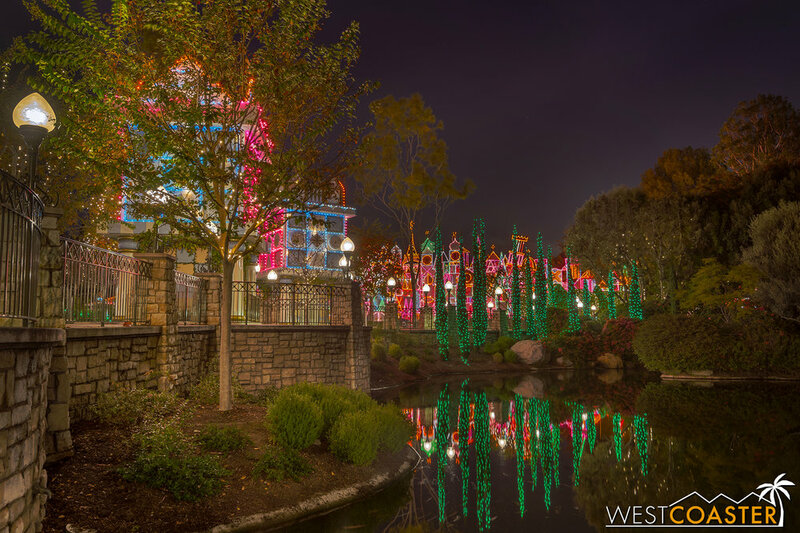 in Holiday Magic fireworks show, which offers a cherished display of holiday pyrotechnics. 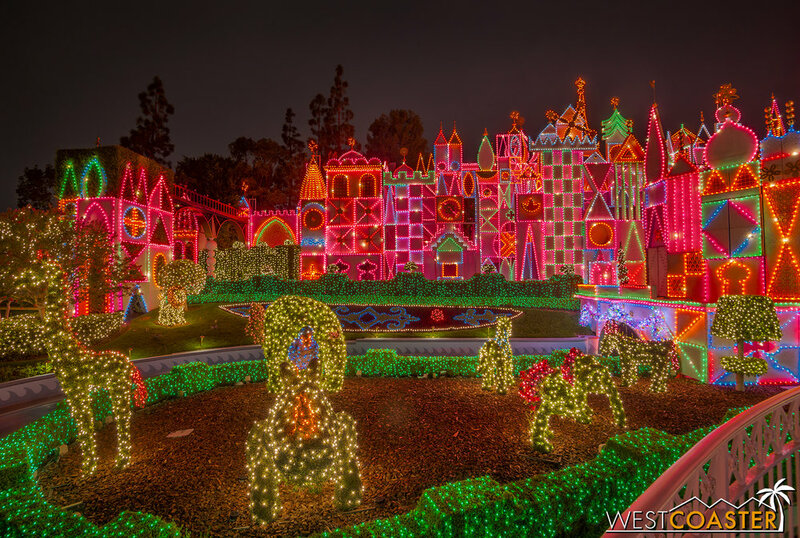 It's a Small World Holiday is the only version (of two) of It's a Small World that I can stand, since the holiday carols evoke those warm and fuzzy Christmas sentiments. And that's it for today's eye candy. 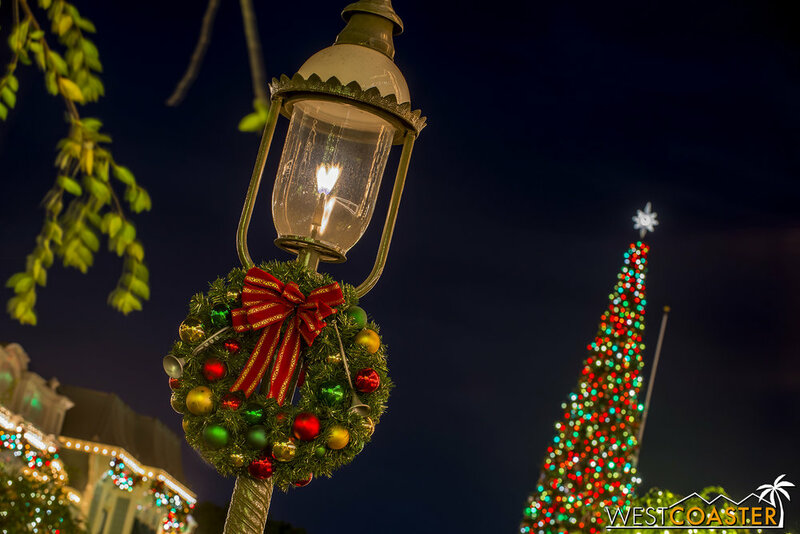 I know there are parts of the park I missed--like shooting the actual Christmas parade and showcasing the Christmas decorations over in Mickey's Toontown. 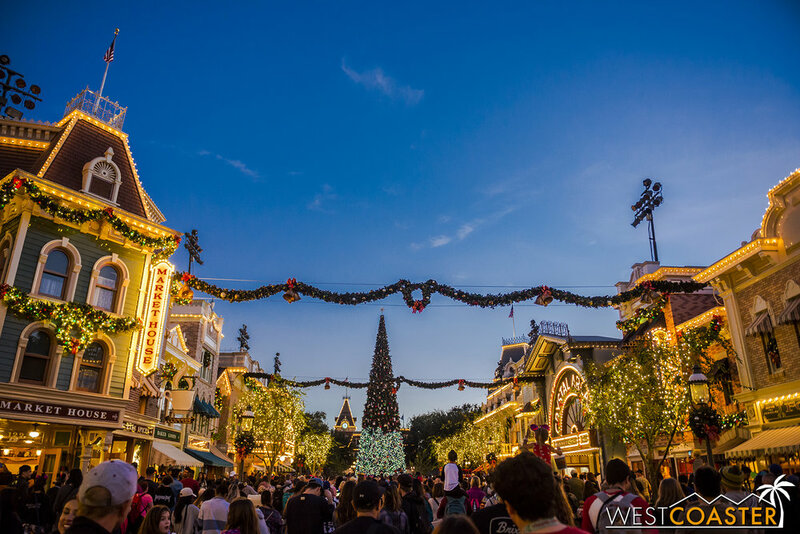 But since I don't anticipate Christmas offerings changing much next year, those can be the unique and "new" content for the 2018 Westcoaster Disneyland Christmas post!